There are many areas of health that are important to women, including hormonal balance, mood, stress response and more. This newsletter is Part 2 of a two-part series covering specific nutrients that may be helpful for these critical areas of women’s wellness. It is surprising how often the benefits of ginkgo biloba have been underestimated. The potent and versatile health-giving properties of ginkgo have been demonstrated in many clinical trials, using different extracts of the leaves, fruit and seeds of the ginkgo tree. There are many benefits of ginkgo that are quite relevant to the management of PMS and menopause, including the promotion of healthy circulation, brain function and normal stress response. 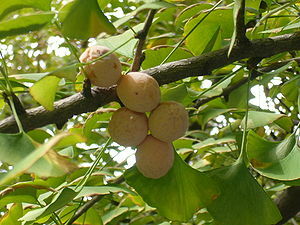 Ginkgo biloba is a complex mixture of organic acids, plant fiber, phytosterols, flavonoids, terpenoids and carotenoids. The chemistry of the contents of ginkgo is quite complex, and this makes its biologic actions quite varied. While recent studies have evaluated specific extracts of ginkgo, many herbalists believe the benefits of ginkgo are a result of the interaction of the various natural components of the whole herb. Of major relevance to the management of PMS and menopause is the ability of ginkgo to promote beneficial changes in memory, fatigue, concentration and mood. Other benefits include its ability to manage certain causes of dizziness, especially those related to problems with the balance mechanism within the ears. One published study of special relevance shows the demonstrated ability of ginkgo to reduce “breast congestion” and other troublesome symptoms in PMS (Tamborini A, et al, Rev Fr Gynecol Obstet; 88:447-457, 1993). Gingko may also have a beneficial effect on libido. I believe that ginkgo biloba is a very important component of any natural, dietary supplement formula for menopause and PMS. Ginseng comes in several forms, and it has a long history of use as a general tonic in Eastern medicine. Ginseng may have some benefits for mood and energy. In one carefully conducted study of the use of Panax ginseng in more than 300 women with menopausal symptoms, improvements in mood were noted. In a separate study, Korean ginseng was found to improve symptoms of sleeplessness, moodiness and fatigue when used in a relatively high dose of 6 grams per day. In excessive amounts, ginseng can cause insomnia, anxiety, diarrhea and breast pain. 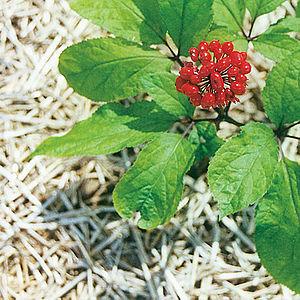 The use of Panax ginseng has been associated with vaginal bleeding following menopause, but it is not entirely clear that this reported effect is actually due to ginseng itself. It’s important to note that the quality of ginseng may vary depending on the source, and it is available in extracted forms that have not yet been fully evaluated. 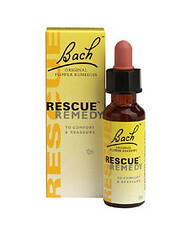 Flower essence therapy is associated with the English physician, Bach, who wandered the hills of Wales in his search of remedies to restore balance in life. Flower essence therapy is a form of homeopathy. It is stated that flower essence therapy can relieve stress, and it is believed that it can be used with other herbal or botanical supplements for health. Extracts from the flowering parts of plants are used in flower essence remedies, and although these are not considered direct treatments for menopause symptoms, they may help balance underlying emotions. The flower essence remedies are given as tinctures that are often diluted in a base of alcohol. There seems to be no limit to how long flower essence treatments can be used, but there is not much scientific evidence of their effectiveness for the management of discomforts associated with menopause or PMS. Two other herbs have been used variably to assist with symptoms of menopause and PMS, but the evidence for their effectiveness remains questionable. One is vervain (Verbena officianalis), which is said to support function of the adrenal glands, thereby promoting normal stress response. The second is golden root (Rhodiola rosea), which is often used in a standardized extract. This herb may have stress-relieving and immune-supporting properties, with some positive effects on mood and mental balance. The evidence for the use of golden root for menopausal relief is somewhat anecdotal, and it is probably better reserved for the specific management of stress disorders. Other dietary supplements of emerging interest for PMS and menopause include flaxseed, diindolylmethane (DIM) and DHEA (oral or topical). DHEA is a universal hormone precursor with emerging evidence to support anti-aging benefits, but it is best used under medical supervision. The substance DIM is found in certain vegetables and it may increase certain forms of “friendly” types of estrogen in the body, including hydroxy and methoxyestrogen. In addition to support from nutrients and herbs, women can also benefit greatly from restful sleep, which is a key factor in well-being for individuals of all ages.